3 Benefits of UV Window Film for Your Home - American Solar Tinting, Inc.
« Can Tinting Give Your Home Office More Privacy? Recently, Americans have become far more aware of the dangers of ultraviolet (UV) rays from sunlight. UV Rays can cause damage to skin and eyes and are associated with skin cancers. Prolonged exposure to sunlight can even fade and damage the furniture and art in your home. But UV window film can help mitigate these issues in some ways. Consider the many ways in which UV window film can benefit you. UV window film not only protects you and your home, but it can also save you on both heating and cooling costs in each season. By better insulating, your windows, UV window film will keep too much heat from entering your home during the hot days of summer, and help keep heat in your home during the winter. This addition can increase your home energy efficiency and lower your energy costs year-round. This makes UV window film a super simple way to reduce your energy costs while making your home more comfortable. UV rays can be dangerous for you and your family over time, as well as damaging your home’s furniture, art, and decor. Even as it shines through windows, sunlight can be damaging to your health. By installing UV window film, you can protect your home from these harmful rays. The film filters visible light through while muting harmful UV rays, acting as a simple sunscreen for any windows in your home. 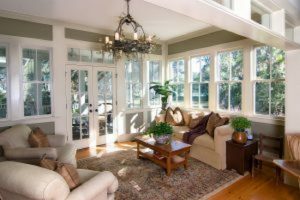 Plus, by protecting your home’s furnishings from fading in the sun, window film can save you even more money in the long run. You can easily protect your home from UV rays and insulate the sun’s heat without sacrificing natural light. You can choose between some degrees of tint for your windows, allowing you the freedom to pick a window tint that provides you with as much or as little light as you prefer. Working with the right window tinting professional, you can find the perfect window tint for your needs, whether you’re prioritizing light filtration, UV protection, or even insulation and cost. UV window tinting allows you to enjoy the natural light in your home while giving you peace of mind. This entry was posted on Friday, January 25th, 2019	at 3:02 pm	and is filed under Residential Solar Tinting	. You can follow any responses to this entry through the RSS 2.0	feed. You can leave a response, or trackback from your own site.